The parks of London offer great opportunities for sports and recreational activities. They are a place to escape from the hassle and stress of the big metropolis. That is why residential districts with fine public parks nearby are much sought after. Here we have taken the time to collect some of the most popular among them. Located in Inner London, to the North of the River Thames, Highbury Fields is one of the best open green spaces in the borough of Islington. It covers 29 acres of land and contains tennis courts as well as a rather popular swimming pool. The houses that surround Highbury Fields are predominantly Victorian terraces, which is good news to anyone who likes the comforts of the classical English lifestyle. Wimbledon is a name that is most closely associated with the tennis tournament, but it is also the name of a rather large (1140 acres) common that actually contains three distinct areas – Wimbledon Common, Putney Heath and Putney Lower Common. They were first enclosed together in 1871 following a Government Act, but the history of the area dates to much earlier. Sports and recreational activities are big in Wimbledon Common, especially cricket and football. We are talking about a triangular urban park of 220 acres that is overlooked by a number of large and rather beautiful Georgian and Victorian mansions, some of which were converted into flats. 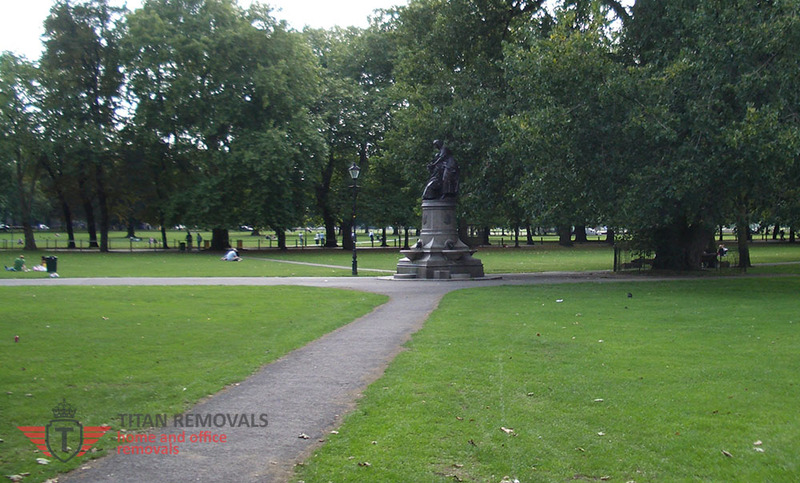 Clapham Common was host to one of the earliest “series of ten-a-side” cricket matches that took place here in 1700. Sporting facilities in the common include a running track, bowling green, cricket pitch, football field etc. Home to the Crystal Palace right after the Exhibition of 1851, the Crystal Palace Park is a really great place to live around. It becomes even better if you have kids. We can guarantee that your little ones are going to look forward to your next visit to the Crystal Palace Park so that they can play with the full scale dinosaur models, in the maze or around the lakes. Hampstead Heath is a large urban park in the eponymous area that has a long history dating to at least the 10th century. In addition to being located amid one of the best residential areas in London, Hampstead Heath is also an important refuge for wildlife, such as grass snakes, squirrels and of course the beautiful muntjac deer, terrapins and ring-necked parakeets, which were introduced in the park in the beginning of the 20th century mostly.